← Molly Moon’s Homemade Ice Cream just got even better! In my family, Mother’s Day usually includes an assortment of flowers, cards, candy and family time spent over sit-down meal. After all, Mother’s Day is an important day to honor and thank mom for all she’s done. As a child, my mother always packed my lunch, helped my sister and I with our homework – and stayed home from work when we were sick. I didn’t realize it at the time, but now I know just how hard that part was. See, my mom had no paid sick days at her job – and because my middle class family depended on two incomes, her paycheck was critical to making ends meet. 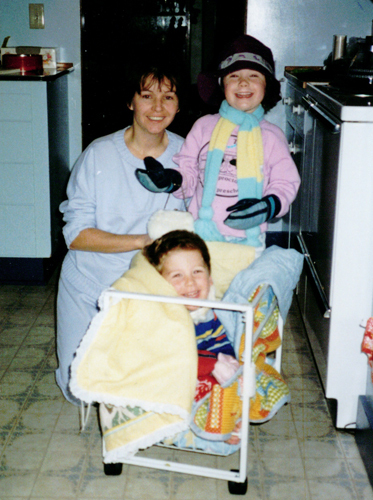 When my mom missed work because my sister or I was sick, it had a direct impact on our family’s budget. Of course, the juggling act of work and family wasn’t unique to my family then, and isn’t unique now – in fact, millions of working parents across America are still unable to take a paid sick day when they or their child gets sick. Nationally, just 43% of female workers have no access to paid sick days – many of them mothers and daughters who are the primary caregivers for their children and adult parents. Women are also more likely to work part-time jobs than men, where just 26% of workers get paid sick leave. And with 1.2 million Washington workers lacking paid sick days at work, balancing work and family obligations is still a huge burden for many parents. Recognizing the problem, several cities and states have begun to establish a paid sick days standard. Like a minimum wage, these requirements set a minimum standard for sick leave, and encourage sick workers to stay home when they or their children are sick. Paid sick days help prevent the spread of disease and ensure millions of working mothers and fathers don’t have to choose between their family and a paycheck. Legislation has been passed in San Francisco, Milwaukee and Washington, D.C., and more is under consideration in Connecticut, New York and elsewhere. Recently, Seattle joined the push with the Seattle Coalition for a Healthy Workforce, which would allow all workers in Seattle to earn paid sick days on the job. So this Mother’s Day, be sure to thank mom for all she’s done – and don’t forget to bring the flowers. This entry was posted in Family values, Healthy workers, In the news, Paid sick days and tagged mother's day, Paid sick days, Work and Family. Bookmark the permalink.